Kathy Hordych Lerner of Doylestown passed away Wednesday, Sept. 6, 2017, surrounded by her precious family after a battle with metastatic breast cancer. She was 69. Born in Teaneck, N.J., to the late Stanley G. and Elaine P. Hordych (Hogan), Kathy grew up in Paramus, N.J. She married Bruce Lerner and moved to Hasbrouck Heights, N.J., where she stayed for 27 years. 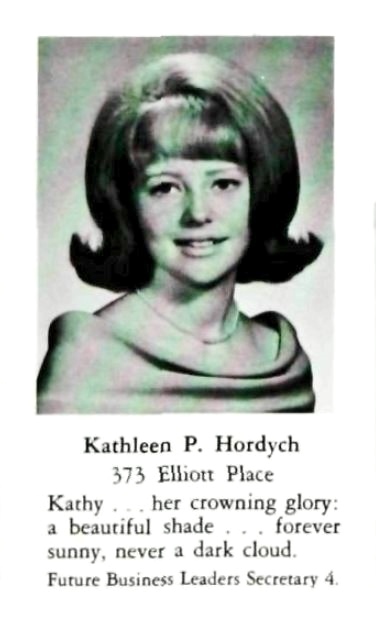 They had a son, Adam, who was the joy of Kathy’s life. Kathy was one of the first females to be in a corporate management position for Lesney (Matchbox) and Peugeot. After raising her son by herself as an outstanding mom, Kathy decided to fulfill her dream to become a nurse. While working full time, she became a certified EMT and attended Bergen County Community College in Paramus, and received her nursing degree and became licensed in New Jersey and Pennsylvania. Kathy moved to Doylestown, and began her career as a registered nurse at Pleasant Manor in Point Pleasant, where she cared for children with disabilities. She later worked at Heritage Towers as a charge nurse, implemented and managed the Infectious Disease Control Program at Greenleaf Nursing Home, and worked for Bayada Nursing until the summer of 2016. Kathy spent many weeks at the family home down the shore, during all seasons, boating, fishing, crabbing, and swimming. She was a very kind-hearted, loving person who will be truly missed very much. Kathy is now home with her family in God’s care, happy and free of pain. She is survived by her precious son, Adam Lerner; a sister, Lynne Hordych, and a brother, Stan Hordych (Susan). She was the loving aunt of Patrick, Christy, Allison, Cassandra and Daniel; and the dear friend of Jim Zolezzi and Grace Murray-Pavlick for decades. A memorial service will be held at 2 p.m. Saturday, Sept.16, at Varcoe-Thomas Funeral Home, 344 North Main St., Doylestown, PA 18901, where the family will receive their friends from 1 to 2 p.m. Cremation services were held privately.